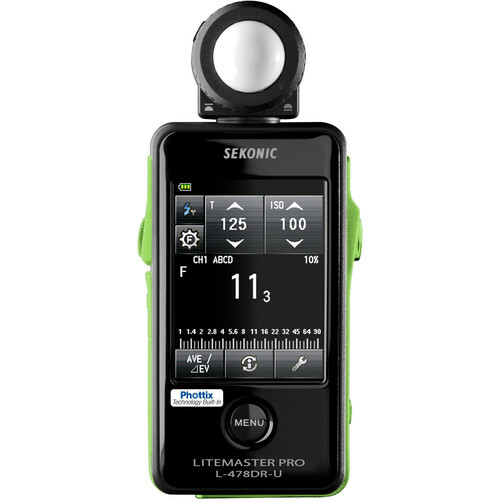 Equipped with a large and intuitive 2.7″ color touchscreen LCD and now featuring built-in radio flash power control and triggering for the PocketWizard ControlTL and standard wireless systems, the LiteMaster Pro L-478DR-U Light Meterfrom Sekonic will make incident metering for ambient and flash light super simple. The ability of this system enables complete control of the flash’s power in 0.1-step increments. Along with this, the radio system has separate selection between 3 zones for ControlTL or 4 zones for standard triggering with measured values maintained for ratio determination. Notable for the L-478 light meter series is the large color touchscreen, which allows for fast control over settings for both ambient and flash metering. 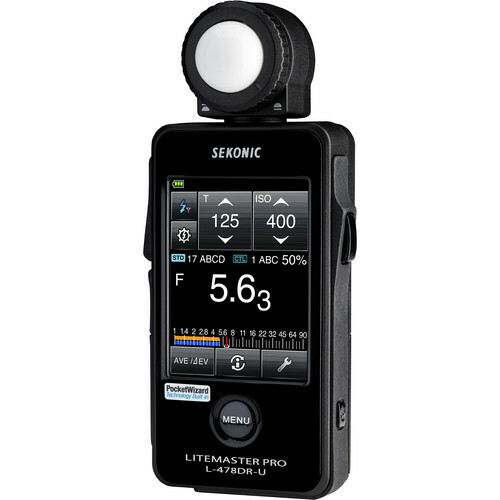 The meter is quite capable as well, able to function within a range of -2 to 22.9 EV at ISO 100. Additionally, for the current crop of hybrid shooters this model expands on its standard stills functions with two distinct video modes: Cine and HD Cine. These settings give access to frame rate selection from 1-1,000 fps as well as shutter angle settings from 1-358° as well as ISO 850 for Canon cinema cameras. Guaranteeing the best possible performance is a suite of functions and features that will ensure users have the best tools available to them. Among these is a flash analyzing function that uses ambient and flash simultaneously to allow for shooters to dial in their preferred mix. 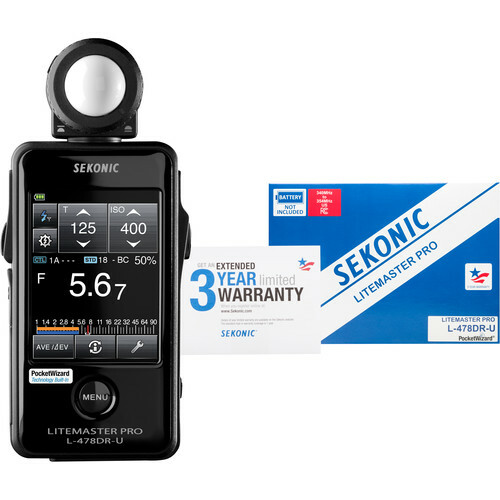 Also, using the included Data Transfer Software users will be able to do Exposure Profiling for their camera by using the optional 5° viewfinder, showing dynamic range limits and knowing that you will have an accurate exposure. 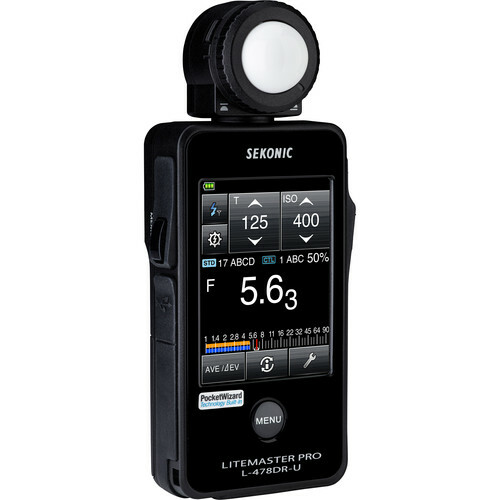 Alongside this is a Filtration Compensation Mode that allows for the meter to account for filter factor, which can now be done at up to 12 EV for landscape shooters using high-density ND filters. 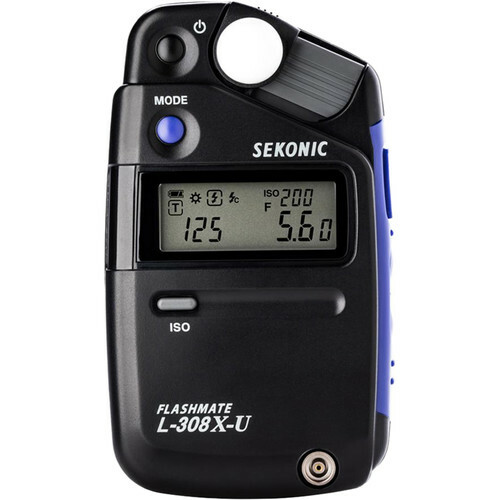 Other features include a contrast function for comparing brightness, a memory mode for 9 readings, and illuminance or luminance measurement.